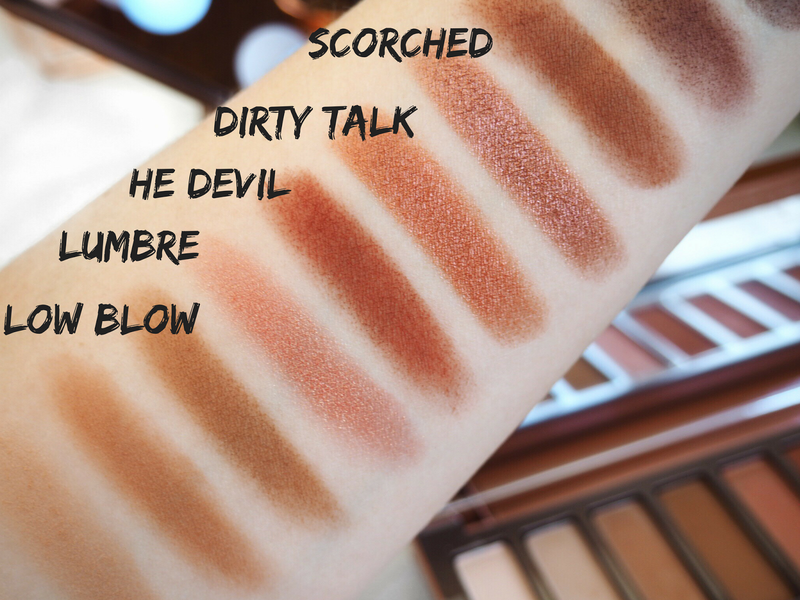 First Look & Swatches – Urban Decay Naked Heat Palette! So imagine my sheer delight (yes, I was like a kid at Christmas!) when I got home today and found this gorgeous box waiting for me! I’d only received the confirmation email an hour before I got home, so it was literally the best surprise ever and my week has officially been MADE. As I know everyone’s totally heart-eye-emoji for this palette too, I wanted to share some pics and first impressions with you all. Obviously I can’t write a full review just yet – that will come soon – but here’s the pics we’ve all been waiting for – the real, raw edit in all it’s glory. And it’s a beauty for sure. 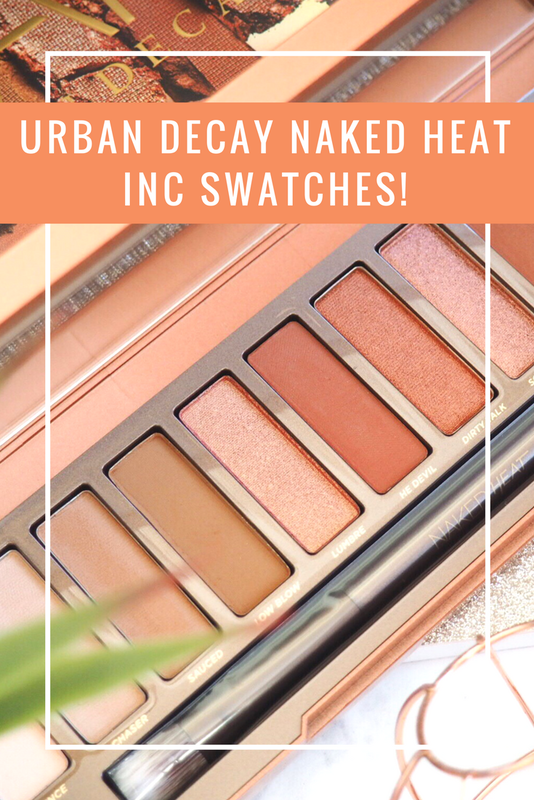 So the deets – 12 gorgeous summer shades all on the warm colour spectrum including bronze tones, warm oranges and some cute nudes to pot (because well, it wouldn’t be a Naked palette without a few nudes right?) The finishes mix between matte and shimmer shades, so you’ve got a good mixture of both. I count 4 shimmers and 8 mattes, which actually works quite well because as I’ve been playing around with these, I think Urban Decay have nailed the finish ratio. It’s not shimmer overkill, and the mattes are all subtly different too. Meaning this palette is going to be able to create some absolutely awesome summer eye looks. 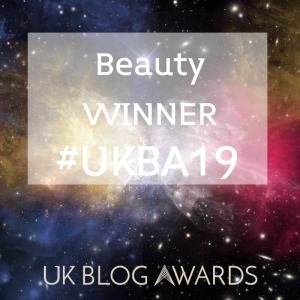 The shades all perfectly compliment each other as you can see and my first impressions are that this meets the usual standard of the Urban Decay eyeshadows – extremely pigmented with high colour payoff. 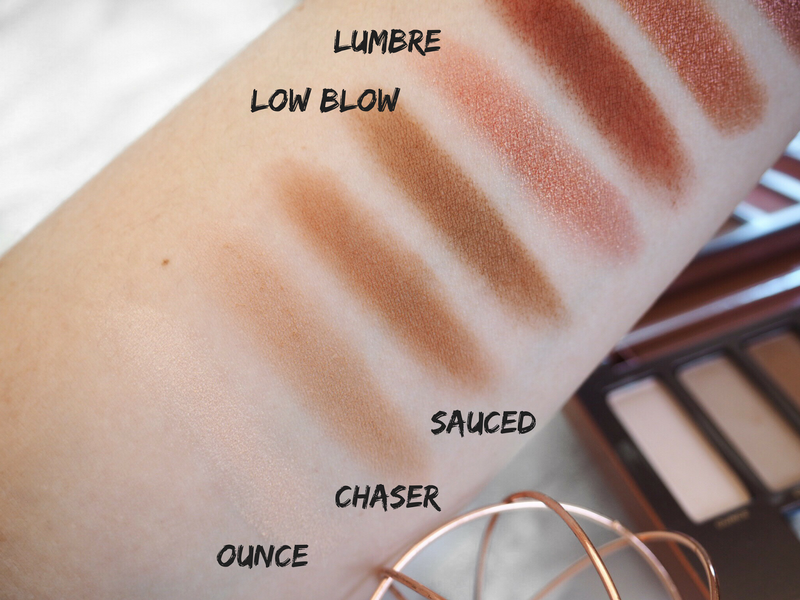 Their texture is creamy and easily blendable – the shadows themselves spread like butter when I was swatching them, which shows their high quality and ability to blend well. Meaning there are going to be a lot of us rocking the warm smokey eye look this summer – and I can’t wait to see what looks everyone comes up with. 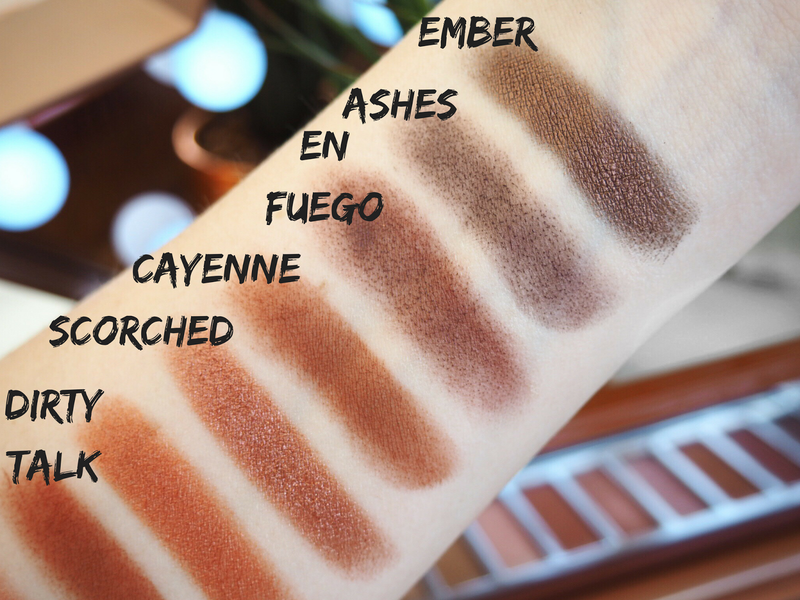 Basically, The Naked Heat has everything I love about Urban Decay eyeshadows. Admittedly this is only a first impressions post, but so far I’d say the shimmer finishes have a higher pigmentation because they really do pop and catch the light. The matte shades need a bit more product to reach the same high colour payoff, but that’s easily achievable with a good eyeshadow primer. Overall this palette doesn’t disappoint and I’m even more in love now I’m holding it in my hands. It was well worth holding my breath for and stressing over during the pre-sale and I can honestly say that even now, without much more than a first impression, this is probably my most favourite Naked palette to date. Have you ordered this for yourself – or do you intend to next month? What do you think? 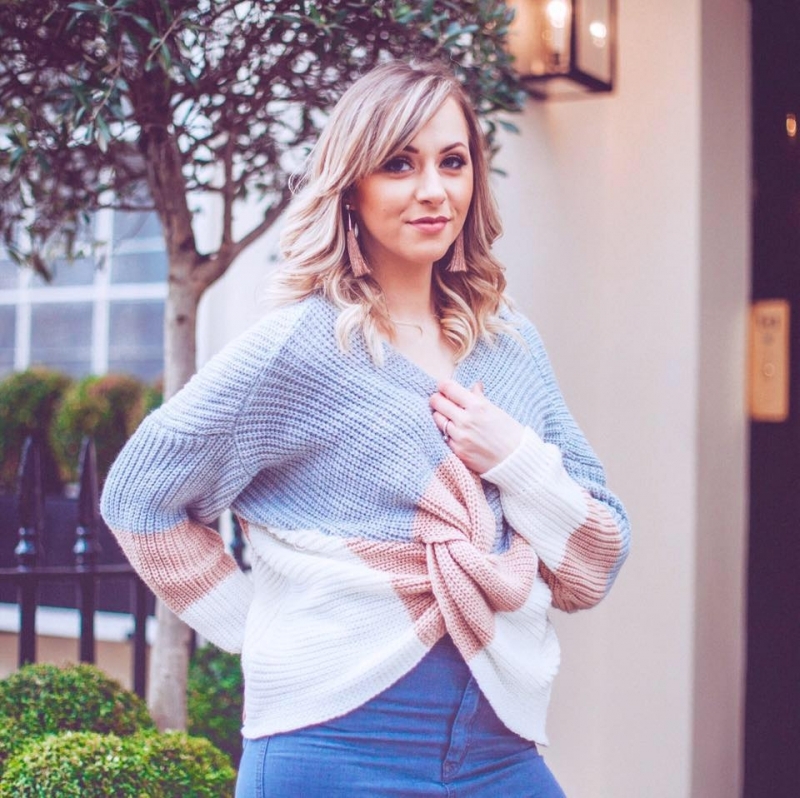 P.S If you read and liked this post, please pin it!